Since the early 1990s, unexplained infant death has been reformulated as a criminal justice problem within many western societies. This shift has produced wrongful convictions in more than one jurisdiction. This book uses a detailed case study of the murder trial and appeals of Kathleen Folbigg to examine the pragmatics of proof beyond a reasonable doubt. It explores how legal process, medical knowledge and expectations of motherhood work together when a mother is charged with killing infants who have died in mysterious circumstances. The author argues that Folbigg, who remains in prison, was wrongly convicted. The book also employs Folbigg's trial and appeals to consider what lessons courts have learned from prior wrongful convictions, such as those of Sally Clark and Angela Cannings. 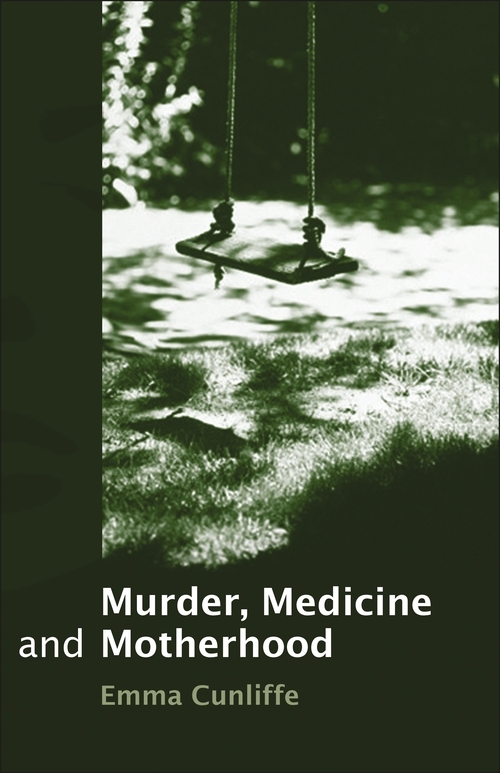 The author's research demonstrates that the Folbigg court was misled about the state of medical knowledge regarding infant death, and that the case proceeded on the incorrect assumption that behavioural and scientific evidence provided independent proofs of guilt. 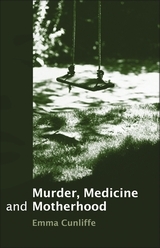 Individual chapters critically assess the relationships between medical research and expert testimony; the operation of unexamined cultural assumptions about good mothering; and the manner in which contested cases are reported by the press as overwhelming. “If Professor Emma Cunliffe...had been Kathleen Folbigg's lawyer on appeal, Folbigg likely would not be serving thirty years in prison in New South Wales, for the murder of her four children. Cunliffe is convinced that Folbigg was wrongly convicted; and, by the end of Murder, Medicine and Motherhood, so, I would guess, would most readers be. “[The book] is a tour de force, with analysis of the trial transcripts, the medical literature on sudden infant death syndrome, and the media coverage of the trial. What really impressed me about this book Is the depth and meticulousness of Emma's research… she is a methodical and careful scholar who combs the transcript and the literature for the ambiguities in the evidence and the testimony. Emma's book has much to teach police investigators, lawyers, judges, and the medical profession about how subtle, yet compelling, gender ideologies are to the detriment of mothers. [The book] makes invaluable contributions to legal knowledge, advocacy, and method, not the least of which is the book's use of trial transcripts to explore the construction of guilt by police, lawyers, experts, lay witnesses, judges, and the media. Emma's work is foundational for those legal scholars working with, and thinking about, transcripts… I am tremendously inspired by her book. “Whilst certainly presenting a compelling argument, Cunliffe writes in very measured tones, taking care not to romanticize or victimize Folbigg, but rather highlighting the precarious nature of her conviction. She sensibly makes no glib statements as to Kathleen's innocence but rather very honestly reflects that she was wrongly convicted, as despite several appeals there remains too much uncertainty to draw firm conclusions – particularly conclusions that are 'beyond reasonable doubt', in order to justify the denial of liberty. ...the aim of the book is not necessarily to resolve all of the aforementioned issues but rather to highlight, discuss and deconstruct them. It satisfyingly draws all of the themes together serving as a stark warning against the oversimplification of science in law, and also a remainder that science is not an infallible source of truth. “Cunliffe's book offers an important and original contribution to discourses on wrongful conviction and the dynamics of proof beyond reasonable doubt. ...the book is well written and moves effortlessly across disciplinary boundaries taking in law, medical research and expert opinion, feminist discourse, and the media. It will provide a welcome addition to the reading list of law and journalism students and other actors interested or involved in the criminal justice system.